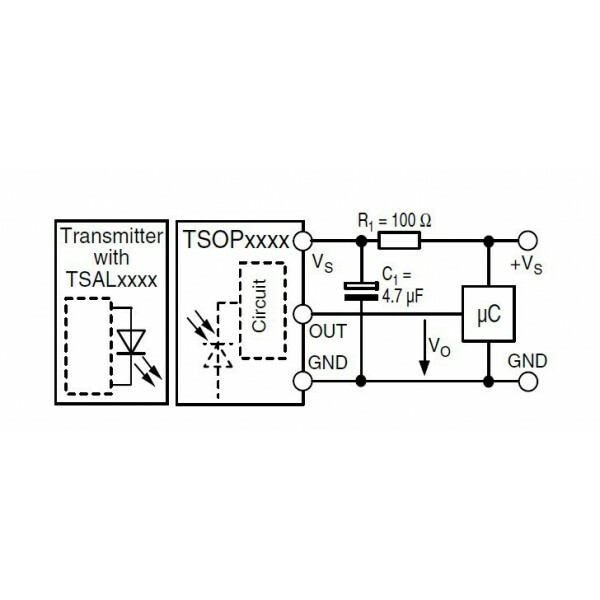 IR receiver TSOP4840. Operating at a frequency of 40 kHz. The following figure shows the wiring diagram of the sensor taken from the documentation. 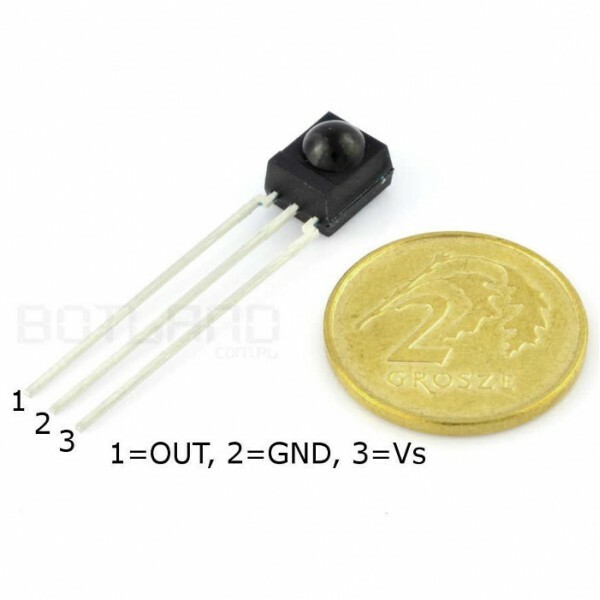 The manufacturer requires the current limit with a resistor of 100 Ω, as well as the use of filter capacitor between the legs of the power capacity of 4.7 µf. Connection diagram IR receiver TSOP22xx. Microcontroller family of Atmel AVR 28-nóżkowej housing przewlekanej - DIP. Voltage supply range from 2.7 V to 5.5 V, frequency up to 16 MHz, has 8 KB Flash, 1 KB RAM, 512 bytes of EEPROM. Popular microcontroller AVR family from ATmel in the case lutowanej surface (SMD). Popular microcontroller part no atmega128a-AU AVR family from ATmel in the case lutowanej surface (SMD). Przewlekany electrolytic capacitor 4,7 µf / 50 V. terminal pitch: 2 mm. Size Ø5 x 11 mm Price for 10 pieces.